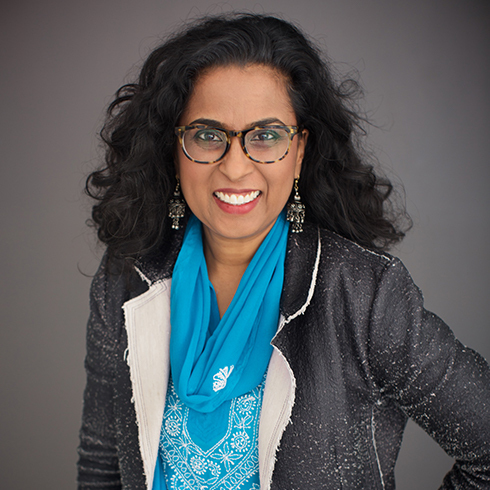 Originally trained in pediatrics and public health, Sayantani DasGupta teaches in the Graduate Program in Narrative Medicine, the Institute for Comparative Literature and Society and the Center for the Study of Ethnicity and Race, all at Columbia University. She writes and speaks on issues of race, gender, health and social justice. Watch Sayantani's recent TEDxSLC talk: "Narrative Humility: Listening as Social Justice"
Click to Watch 140 character's conference talk: "From Losing the Weight to Losing the Hate: A Pediatrician's Take on Toxic Body Culture"
Sayantani appeared with her mother on the November/December 1992 cover of Ms.Magazine, for an article"Hottest New Teams: Feminist Mothers and Daughters."